View the entire table of contents for the June 15, 2016 issue. Sonoma has become a hot destination for Pinot Noir, with the county boasting many of California's leading wineries for the grape. Spread over three regions, they draw upon a range of terroirs and bottle Pinots in a variety of styles. Wine Spectator's Tim Fish explains. 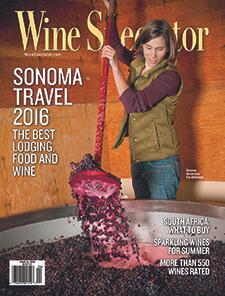 For the full article, check out the new issue of Wine Spectator, on newsstands May 19, 2016.